Do you mark magazines by turning down a corner, put the irritating ad inserts to some use by marking a page? But the ‘markers’ fall out and you just can’t find tagged corners–why is that I wonder? Well, help is here from Lucky Magazine. 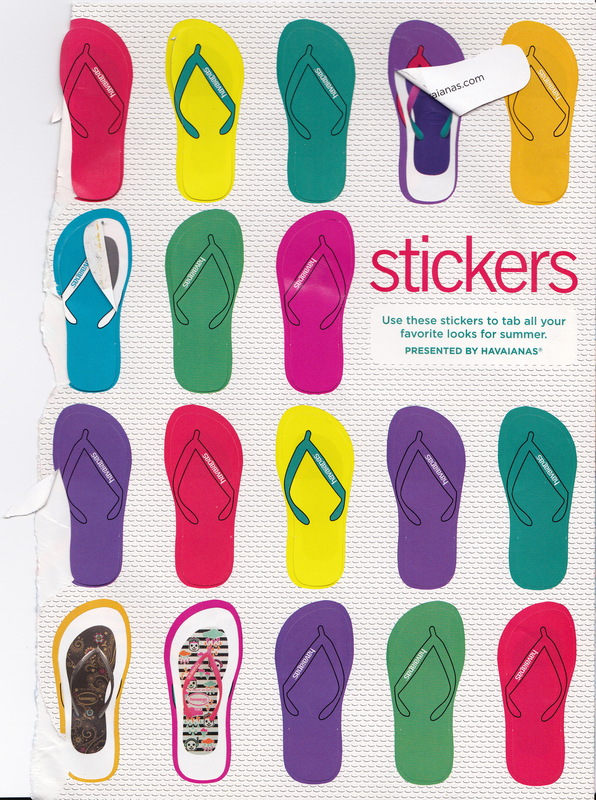 They insert a Stickers Page–different design every month. This is the greatest idea since sliced bread, just peel and stick. At the first magazine review, pages I want to go back to are Stickered. I also tear out the Sticker page and use on all magazines, catalogs, books, etc. Thanks Lucky! Now, when the mag stack needs editing, it’s a quick flip thru by Sticker and tear to save (I keep a file folder somewhere on the coffee table); or curl my lip at, “What was I thinking of!” Off to Recycling! Have even been known to drop on the Library’s freebie table. FYI: remove address label. This entry was posted in GREAT IDEA and tagged catalogs, lucky magazine, peel, stickers. Bookmark the permalink.